Tiura – Tiura uistimia on tehty jo vuodesta 1881 ja yrityksemme on vanhin Suomessa yhtäjaksoisesti toiminut kalastusvälineiden valmistaja. 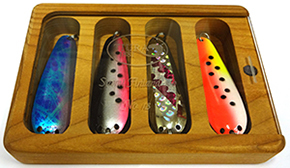 Tiura has been handicrafting lures in Finland since 1881. Our company is one of the oldest in the fishing industry both in Finland and in the world. 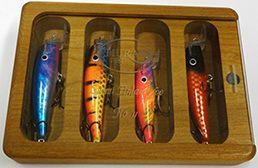 Mark of superior handicraft is shown in each Tiura lure and we are aiming to top quality in everything we do. 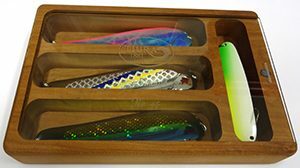 Tiura lures are made to every type of fishing so we are certain that you will find a lure that suits to your needs.